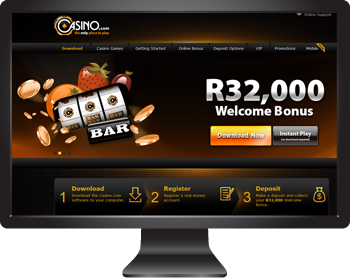 Casino.com online casino is focused very much on the world-wide market as it offers just about every single language you can think of and accepts a multitude of currencies as well. When it comes down to deposits and withdrawals you are also looking at a vast selection of methods. Casino.com is licensed and regulated under the jurisdiction of Gibraltar, and is owned and operated by ONISAC Ltd. Since investing in this rather obvious domain name, the owners have shown their intent to be recognised as a strong contender for being one of the best casinos online. Casino.com have been fortunate enough to benefit from the expertise in online gaming from the parent company, Mansion, who have been providing both casino and poker services to its members since 2004. The excellent selection of games available on the Playtech platform is not the only drawcard to the Casino. They currently offer their services to as many as 189 Countries in as much as 46 languages. The games, the support, and the top end software make for a really secure and comforting gaming experience. Български, Čeština, Deutsch, Eesti keel, English, Español, Français, Indonesian, Íslenska, Latviešu, Lietuvių, Magyar, Malaysia, Nederlands, Polski, Português, Slovenski, Türkçe, Українська, 華人, 中国人, 臺灣閩南語, ดิกชันนารี่, 한국어/조선말ี่, العربية – الكويت, العربية – لبنان, and variations thereof. Mobile gaming is in, be it on your phone or tablet! All you have to do is navigate to the site on your mobile device and the software will load for you.